We designed Lipsi Rocket product package, which is part of the Lipsi product family. 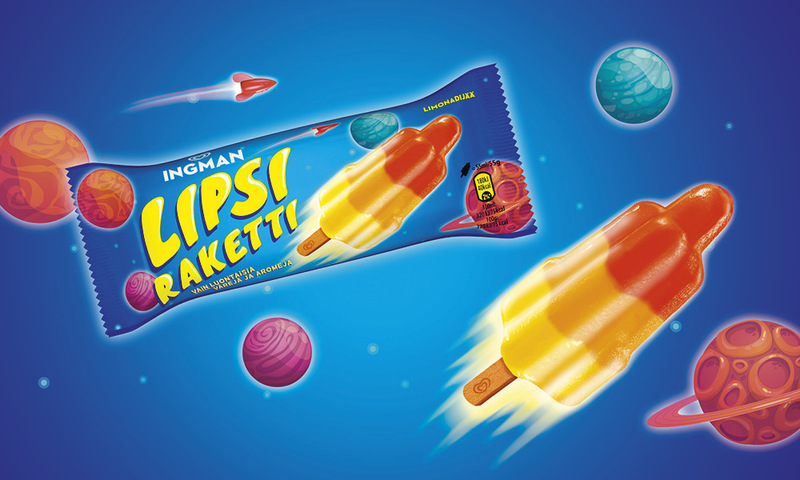 Lipsi Rocket’s focus was to have visually appealing approach for younger target group. During the design phase we highlighted that with a bold appearance, even a small product package is a significant media space. With these bold visuals the brand stands out from other competitors that share the same freezer space.